When Is the Best Time to Visit the Sawtooth Mountains? Anyone that has fallen in love with Central Idaho will say that there is no bad time to visit. The stunning landscape is awe-inspiring at any time of the year. However, the best time to visit the Sawtooth Mountains really depends on what you would like to do here. From snowy winters to sunny summers, there is something here for everyone. Make sure you get a copy of our complimentary Vacation Guide to discover all there is to see and do in Central Idaho! The most important thing to consider when deciding the best time to visit the Sawtooth Mountains is that the weather varies drastically. Just because daytime temperatures are in the eighties does not mean that they won’t drop to a brisk 48°F at night. The difference between summer and winter varies even more; summer days can be in the eighties while winter can be expected to be below freezing. No matter when you decide to visit, it is always important to keep an eye on the weather and pack layers for the changes in temperature. If you want to stay at Redfish Lake Lodge, summer is the time for you! Our lodge is open during the summer months for optimal warm weather. If you’re looking for warm temperatures, consider visiting sometime between June and September. You’ll get to enjoy temperatures in the seventies and eighties during the day. If you would like the warmest time possible, visit during July. You’ll be treated to 80+°F! With such great weather, there are countless things to do at Redfish Lake Lodge in the summer. We have made sure that our property is an outdoor lover’s paradise! Surrounded by mountains, there is mile after mile of trails to hike, backpack, bike, or horseback ride. Adventurers love getting their adrenaline up with a whitewater rafting trip! If you’d rather relax, you can do that, too. The Redfish Lake Marina has everything from a sandy beach to boat rentals. The kids can splash around on the shore as you enjoy the summer sun! Or, you can enjoy the calm parts of the Salmon River when you go on a fly fishing excursion. If the summer sun is too much for your adventures, consider visiting in autumn. The beginning of fall is still in the mid-seventies but gets down to 35°F as the season continues. Precipitation is fairly high during this time; it either rains or snows 3-7 days per month. If you enjoy hiking in the cooler weather, autumn is the perfect time for you! The area is a lot less crowded than during the summer months, so you truly get to enjoy the peace and quiet. The weather is still great for hiking, and you get gorgeous views of the changing leaves. A scenic drive is a great way to see all the colors! As the season progresses, you might even get some snow. Backcountry and cross-country skiing are very popular in the area, and Sawtooth Mountains Guides can show you where to explore. While Redfish Lake Lodge closes in October, you can still stay at our other lodging options. Consider Triangle C Cabins, Redfish Riverside Inn, and Stanley High Country Inn. If you think the best time to visit the Sawtooth Mountains is when there is snow on the ground, winter weather is for you. Bundle up to enjoy the winter wonderland Central Idaho turns into. Temperatures range from 27°F to 35°F; as long as you have the proper gear, you can still have a great time outside. We also have a significant amount of snow— we get fresh powder six to nine times a month! The snowy fun continues throughout the winter! Pack up your skis to enjoy backcountry or cross-country skiing. Cross-country skiing is a great way to see the area; there are groomed trails so you can immerse yourself in our winter wonderland. Many travel to our area for backcountry skiing. There are multiple slopes near the road so you don’t have to worry about trekking for miles before riding down. However, we highly recommend avalanche training and going with a guide since these slopes are unpredictable. Other winter activities include snowmobiling, snowshoeing, and enjoying a local hotspring. Spring weather is very similar to the fall. Temperatures range from 34°F to 68°F with humidity, so it feels moderately cold. Rain is most common in the spring; it generally rains six to nine days per month. You might have a rainy day or two during your visit, but it won’t spoil your adventures! As the weather warms up, more and more people come to visit. Spring is the second most popular season for tourism, and it is warm enough to start doing the snowless outdoor activities everyone loves. 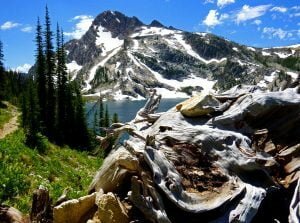 We consider this one of the best times to visit the Sawtooth Mountains because you still get to see the snow on the mountain peaks and many of the alpine lakes are still frozen. Embark on hikes such as Alice Lake to see it for yourself! 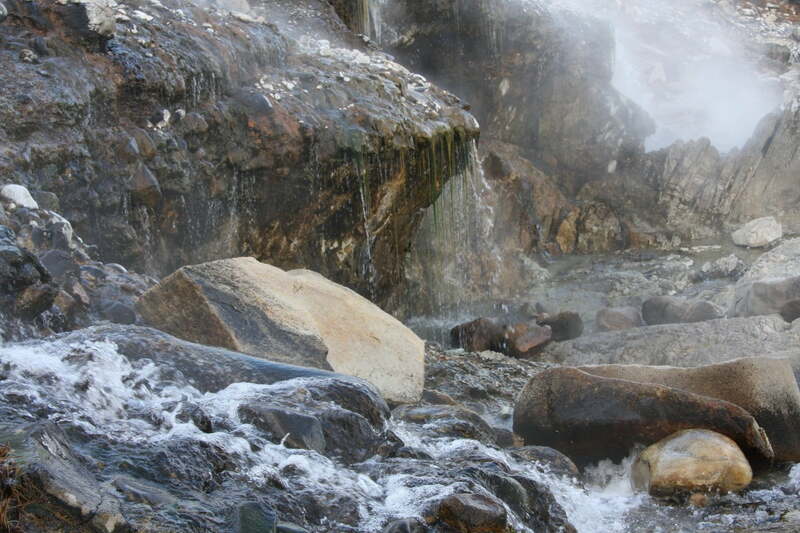 Natural hot springs in the area are a great way to warm up, and you can always go for a scenic drive if you’d like to see the beauty of the area from the comfort of the car. Have you decided when the best time to visit the Sawtooth Mountains is? It’s time to book your getaway! Redfish Lake Lodge is open for the summer season. If you would like to experience our lodge, browse our accommodations to start planning your stay. We have everything from cabins to hotel rooms! 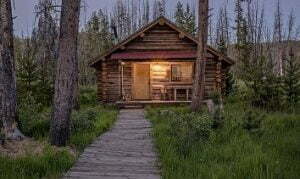 If we don’t have what you are looking for or you would like to come when Redfish Lake Lodge is closed for the season, consider our other properties. Each of our properties has access to all the activities and restaurants at Redfish Lake while it is open. Go over your options to find the perfect fit for you, then book your stay. We look forward to seeing you!